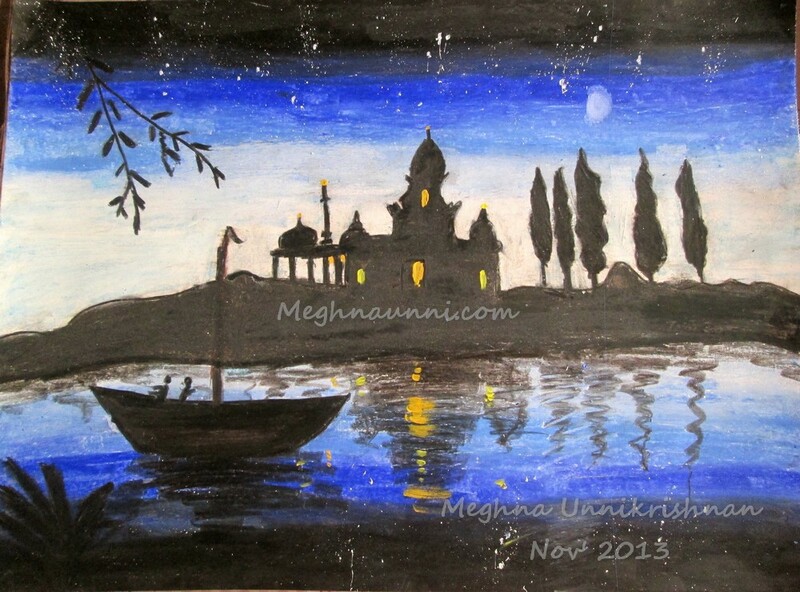 This painting is of a riverside temple during night. Tried to create the shadow of the temple in water. Used Oil Pastels and Steadler 8B pencil. The lights and the stars are created using fabric paint. Hope everyone like this painting done by me in November 2013.